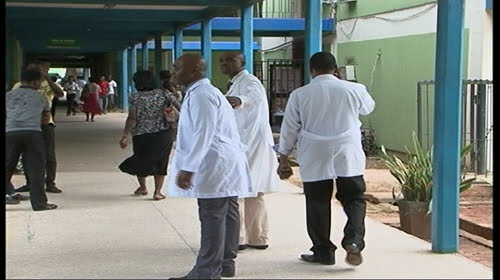 Resident doctors at the Lagos State University Teaching Hospital (LASUTH), Ikeja, said they will begin three days warning strike on Jan. 28 over shortage of house officers and resident doctors. Dr. Fatai Balogun, President, Association of Resident Doctors (ARD-LASUTH), said at a news conference on Tuesday in Lagos that the strike would be total. Balogun said that the strike was earlier suspended based on the promises by the management to replace the exited officers and the affirmation of the approval by the state government. â€œThis crisis has been a recurring event over the past years without any structured policy put in place to ensure seamless replacement of the exited and existing doctors. â€œAll we are asking for are seamless employment of resident doctors and house officers; this should not be a tall order. â€œUntil our struggle in September, the government did not employ doctors. â€œUp till now, the remaining 25 have not been employed,â€œ he said. Fabamwo said that the Head of Service, Mr. Hakeem Muri-Okunola, would ensure that all the paper works needed in the recruitment of doctors would be made possible. â€œThe new Head of Service believes there should be a template for automatic replacement of doctors; he says he will work toward that in order to address the shortage,â€ he said.